DYNAMIX 0.3m Cat5e Beige UTP Patch Lead (T568A Specification) 100MHz DYNAMIX 0.3m Cat5e Beige UTP Patch Lead (T568A Specification) 100MHz Slimline Moulding & Latch Down Plug 24AWG. DYNAMIX 0.5m Cat5e Beige UTP Patch Lead (T568A Specification) 100MHz DYNAMIX 0.5m Cat5e Beige UTP Patch Lead (T568A Specification) 100MHz Slimline Moulding & Latch Down Plug 24AWG. DYNAMIX 0.75m Cat5e Beige UTP Patch Lead (T568A Specification) 100MHz DYNAMIX 0.75m Cat5e Beige UTP Patch Lead (T568A Specification) 100MHz Slimline Moulding & Latch Down Plug 24AWG. DYNAMIX 1m Cat5e Beige UTP Patch Lead (T568A Specification) 100MHz DYNAMIX 1m Cat5e Beige UTP Patch Lead (T568A Specification) 100MHz Slimline Moulding & Latch Down Plug 24AWG. DYNAMIX 7.5m Cat5e Beige UTP Patch Lead (T568A Specification) 100MHz DYNAMIX 7.5m Cat5e Beige UTP Patch Lead (T568A Specification) 100MHz Slimline Moulding & Latch Down Plug 24AWG. 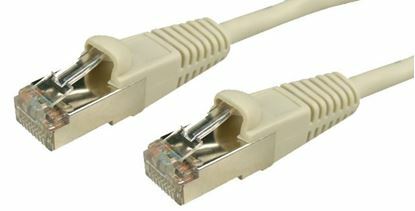 DYNAMIX 10m Cat5e Beige UTP Patch Lead (T568A Specification) 100MHz DYNAMIX 10m Cat5e Beige UTP Patch Lead (T568A Specification) 100MHz Slimline Moulding & Latch Down Plug 24AWG. DYNAMIX 12.5m Cat5e Beige UTP Patch Lead (T568A Specification) 100MHz DYNAMIX 12.5m Cat5e Beige UTP Patch Lead (T568A Specification) 100MHz Slimline Moulding & Latch Down Plug 24AWG. DYNAMIX 1.5m Cat5e Beige UTP Patch Lead (T568A Specification) 100MHz DYNAMIX 1.5m Cat5e Beige UTP Patch Lead (T568A Specification) 100MHz Slimline Moulding & Latch Down Plug 24AWG. DYNAMIX 2m Cat5e Beige UTP Patch Lead (T568A Specification) 100MHz DYNAMIX 2m Cat5e Beige UTP Patch Lead (T568A Specification) 100MHz Slimline Moulding & Latch Down Plug 24AWG. DYNAMIX 3m Cat5e Beige UTP Patch Lead (T568A Specification) 100MHz DYNAMIX 3m Cat5e Beige UTP Patch Lead (T568A Specification) 100MHz Slimline Moulding & Latch Down Plug 24AWG. DYNAMIX 4m Cat5e Beige UTP Patch Lead (T568A Specification) 100MHz DYNAMIX 4m Cat5e Beige UTP Patch Lead (T568A Specification) 100MHz Slimline Moulding & Latch Down Plug 24AWG. 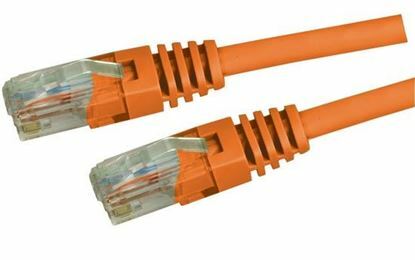 DYNAMIX 40m Cat5e Beige UTP Patch Lead (T568A Specification) 100MHz DYNAMIX 40m Cat5e Beige UTP Patch Lead (T568A Specification) 100MHz Slimline Moulding & Latch Down Plug 24AWG. DYNAMIX 5m Cat5e Beige UTP Patch Lead (T568A Specification) 100MHz DYNAMIX 5m Cat5e Beige UTP Patch Lead (T568A Specification) 100MHz Slimline Moulding & Latch Down Plug 24AWG. 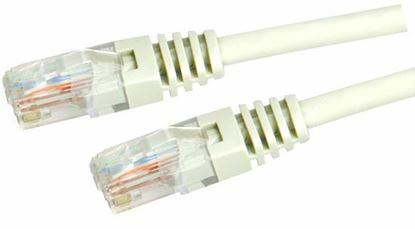 DYNAMIX 50m Cat5e Beige UTP Patch Lead (T568A Specification) 100MHz DYNAMIX 50m Cat5e Beige UTP Patch Lead (T568A Specification) 100MHz Slimline Moulding & Latch Down Plug 24AWG. DYNAMIX 15m Cat5e Beige UTP Patch Lead (T568A Specification) 100MHz DYNAMIX 15m Cat5e Beige UTP Patch Lead (T568A Specification) 100MHz Slimline Moulding & Latch Down Plug 24AWG. DYNAMIX 20m Cat5e Beige UTP Patch Lead (T568A Specification) 100MHz DYNAMIX 20m Cat5e Beige UTP Patch Lead (T568A Specification) 100MHz Slimline Moulding & Latch Down Plug 24AWG. 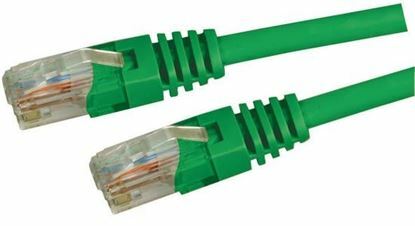 DYNAMIX 25m Cat5e Beige UTP Patch Lead (T568A Specification) 100MHz DYNAMIX 25m Cat5e Beige UTP Patch Lead (T568A Specification) 100MHz Slimline Moulding & Latch Down Plug 24AWG. DYNAMIX 30m Cat5e Beige UTP Patch Lead (T568A Specification) 100MHz DYNAMIX 30m Cat5e Beige UTP Patch Lead (T568A Specification) 100MHz Slimline Moulding & Latch Down Plug 24AWG. DYNAMIX 35m Cat5e Beige UTP Patch Lead (T568A Specification) 100MHz DYNAMIX 35m Cat5e Beige UTP Patch Lead (T568A Specification) 100MHz Slimline Moulding & Latch Down Plug 24AWG.